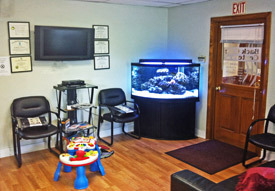 We started our practice in 2004 and are proud to serve the West Haven area as well as New Haven. It’s our pleasure to make you feel like you’re a member of our own family. Our mission is to help you trust us so we can help you feel better. Many patients visit us after they experience an accident. Understandably, they’re coping with a wide range of emotions. Our first goal is to make the pain levels manageable and start treatment as soon as possible. What kind of techniques do we offer you? These are just a few of the ways that we can perform your adjustment. Your body is unique, so your adjustment should be unique for you, too. We also offer rehab and natural healing. Just because you’ve been in an auto accident doesn’t mean that surgery is required. What Differentiates Back Care Centers from Other Practices? We manage a lot of post-accidental patients. Sometimes they get relief with stretching, decompression or rehab. In other cases, more detailed treatment is required. In our office, we work on soft tissues, Myopractic, and rehab among others. We’re also supported by other medical professionals such as orthopedics, radiologists, and more. “Your ultimate wellness is foremost in our minds.” If we think that you’ll benefit more from an orthopedic, we’ll send you to that specific doctor. We refer you where you can get the maximum health benefits. Our patients appreciate this and keep coming back to us. This trust is gratifying and keeps us going. We care for our patients as we care for our family. Patients feel comfortable with us, and we’re delighted when they look at the clinic as an extension of their own homes. We take care of everyone who comes through our doors. And we’d love to see you soon.